P. J. DiNuzzo | DiNuzzo Index Advisors, Inc.
P.J. DiNuzzo is the Founder, President, Chief Investment Officer (CIO), Chief Compliance Officer (CCO), and Director of Business Development for DiNuzzo Index Advisors Inc., which has operated as an SEC‐Registered Investment Advisory Firm since 1989 and currently manages over $701 Million in Assets Under Management as of March 29, 2019. P.J. has devoted his entire professional career to indexing/efficient market theory, retirement planning and educating the public regarding their benefits. He was approved as one of the first 100 Advisors in the United States with Index Research/Development Leader and Institutional Mutual Fund Manager, Dimensional Fund Advisors (DFA) in the early 1990’s. DiNuzzo Index Advisors, Inc. was one of the first few hundred fee-only firms in the U.S. in the late 1980's and has been consistently ranked as one of the top 500 firms in the country by multiple national publications. Under P.J.’s leadership DiNuzzo Index Advisors, Inc., on numerous occasions, has been recognized as one of the “Best Places to Work” and was awarded the honor of “#1 Best Place to Work" in Western Pennsylvania in 2008, 2013 and 2016 by the Pittsburgh Business Times. Additionally, P.J. 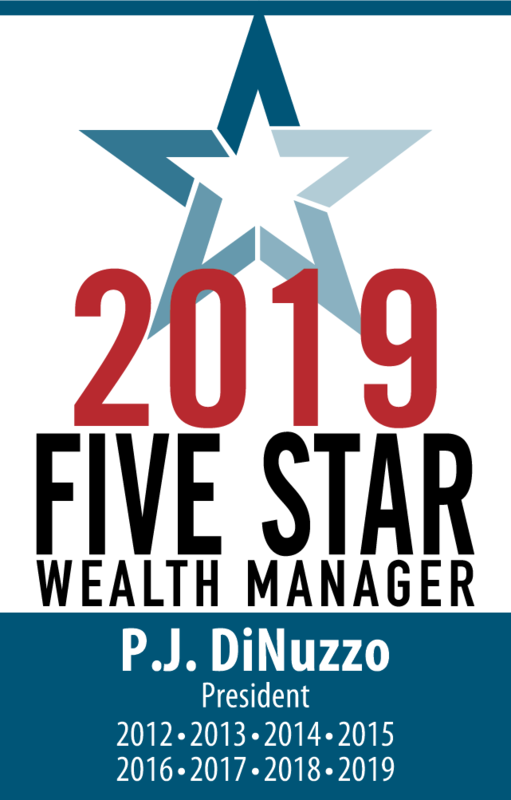 has been awarded the prestigious multi-year designation as a FIVE STAR Wealth Manager. The award is given to wealth managers in Pittsburgh and across the U.S. who satisfy key client criteria and score the highest in overall client satisfaction. P.J. DiNuzzo has earned the distinguished Personal Financial Specialist (PFS) designation. The American Institute of Certified Public Accountants (AICPA), a national professional organization of CPA’s has only awarded the PFS accreditation to less than 3% of CPA’s nationwide. Candidates must meet six necessary requirements including an arduous technical exam and a peer review of their ability to demonstrate significant experience in a wide range of comprehensive personal financial planning disciplines. Mr. DiNuzzo has appeared and been interviewed on numerous occasions regarding; Strategic Asset Allocation, Portfolio Diversification, Indexing, Rebalancing, and Retirement Income Planning on various Television and Radio programs including: “OPRAH & Friends with Jean Chatzky on XM Radio”, “CNBC- TV Power Lunch”, “KDKA-TV2 Sunday Business Page with Jon Delano”, “The Lange Money Hour radio show with Jim Lange”, and “The Street.com TV”. P.J. has also been interviewed and quoted on numerous occasions regarding; Strategic Asset Allocation, Portfolio Diversification, Indexing, Rebalancing, and Retirement Income Planning in various national, regional, and local Magazines including: “Kiplinger’s Personal Finance Retirement Planning”, “MarketWatch from Dow Jones”, “Morningstar”, “SmartMoney”, “BusinessWeek”, “Investment Advisor”, “Financial Planning”, “NAPFA Advisor”, “The Wall Street Transcript”, “Wealth Management Exchange”, “Wealth Manager”, “Bottom Line Personal”, and “IARFC”. He has also been interviewed and quoted on numerous occasions regarding; Strategic Asset Allocation, Portfolio Diversification, Indexing, Rebalancing, and Retirement Income Planning in various national, regional, and local Newspapers including: “The Wall Street Journal”, “Barron’s”, “Reuters”, “Bankrate.com”, “CBS News”, “YAHOO! Finance”, “Pittsburgh Post – Gazette”, “Chicago Sun – Times”, “FT.com Financial Times”, “Smart Money Select.com”, “The Atlanta Journal Constitution”, “St. Louis Dispatch”, “Chicago Board Options Exchange”, “Investment News”, “Pittsburgh Business Times”, “The Sharon Herald”, “The Christian Monitor”, “ The Beaver County Times”, “Pittsburgh Tribune Review”, “The Mutual Fund Wire.com”, “Gulf News – the United Arab Emirates (UAE)”, “TMC.net”, “Comcast.net Finance”, “Rydex Investments”, “Free Real Time.com”, “Individual.com”, “Lockheed Federal Credit Union”, “Invest n Retire”, “ABC – TV9 WCPO.com”, “Fort Worth Star Telegram”, “KYPost.com”, “Wealth Manager”, “Jim Prevor’s Perishable Pundit”, “Reading Eagle”, “The Toledo Blade”, “Horsesmouth”, “DemocraticUnderground.com”, “The Community Investment Network”, “Daily Herald”, “Scripps News”, “The Modesto Bee”, “Hitched”, “Prime”, “El Paso times.com”, “Paladin Advisor”, “Advisor Max”, “Denverpost.com”, “Oswego Daily News”, “The Dollar Stretcher”, “Financial Advisor”, “The Ledger”, “Post-Gazette.now”, “The Columbus Dispatch”, “Savannah Morning News”, and “Hampton Roads News Channel”. Mr. DiNuzzo is a member of the Financial Planning Association (FPA), Estate Planning Council (EPC) of Pittsburgh, American Institute of Certified Public Accountants (AICPA), and the Pennsylvania Institute of Certified Public Accountants (PICPA), the AICPA’s National CPA Financial Planning Insights Panel, The National Association of Tax Professionals (NATP). In 2014 P.J. became a member of The Pittsburgh Society of Investment Professionals (PSIP). P.J. chose football in lieu of a Major League Baseball offer from the Houston Astros to play with their Class A Team, as he attended and played football at Indiana University under Head Coach Lee Corso in the “Big Ten” (Bloomington, Indiana) and also at the University of Pittsburgh under Head Coach Jackie Sherrill. He later received his BS in Business Administration from Geneva College in Beaver Falls, PA. His graduate studies culminated in an MBA (Masters in Business Administration) from the Katz Graduate School of Business at the University of Pittsburgh and an MSTx (Masters of Science in Tax Law) from Robert Morris University at the downtown Pittsburgh Campus. P.J. received his Certified Public Accountant (CPA) designation from the State of Delaware. Additionally, he received his Accredited Investment Fiduciary® (AIF®) from the Center for Fiduciary Studies. P.J. 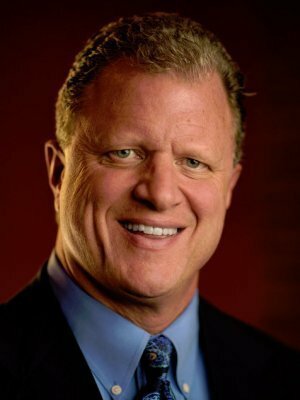 was a member of the Investment Committee on the Endowment Board for Valley Care Associates, a non-profit organization providing adult day care, home safety consulting, and physical modifications for the elderly in Allegheny and Beaver Counties. He also served as a Finance Council Board Member for St. Blaise Church. He is a volunteer and supports Habitat for Humanity, Red Door Program for the homeless, and commitment to his Churches in Midland and Pittsburgh’s Southside. He is a lifelong resident of the Pittsburgh and Western Pennsylvania area. He devoted over 12 years to helping and assisting numerous young men in Pittsburgh’s inner–city and surrounding areas by supporting and coaching over 1000 basketball games at the AAU, elementary, middle school, junior high, and high school levels attempting to teach and instill in them; teamwork, trust, structure, discipline, and hard work. He counts his three sons Nick, Mike, and Patsy and Renée his fiancée as his four best friends.